Search for your domain name in a blacklist. Please enter an IP address or domain name below and click submit to check it against our list of popular blacklists.Use this form to find out if a list of sites or URL are in the blacklist and in which categories all in one go. If spam hits a website, then search engines also blacklist your site's IP address for security purposes. Sometimes, a website owner is not aware that search engines ban his/her website's IP. If your site is getting deindexed from search engines or if you see a decline in your organic traffic, then you must use FreeSeoTool's free Blacklist IP Lookup tool to check whether your website is blacklisted or not. In past, webmasters went through extreme difficulties when identifying whether search engines blacklist their website's IP address or not. 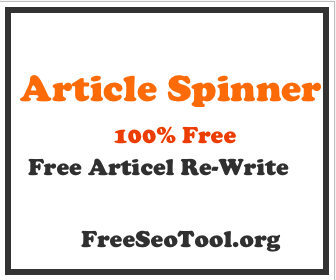 Now Free Seo Tool has made the lives of webmasters much easier by providing such an excellent tool for free. You can view the report generated by this tool to check whether your site's IP address is blacklisted or not. FreeSeoTool.org 's Blacklist IP Lookup tool is fast, free, accurate and requires no signup or downloading. You can not only perform blacklist IP lookup for your site only, but you can also use this tool before purchasing a website to see if it's blacklisted or not. This tool will help you take the right steps to remove your IP address from the blacklist files so that you don't face any problem in future.